Do everything you can to get your fun-seeking holiday-goers from base camp to the piste using blind luck and physics in When Ski Lifts Go Wrong. 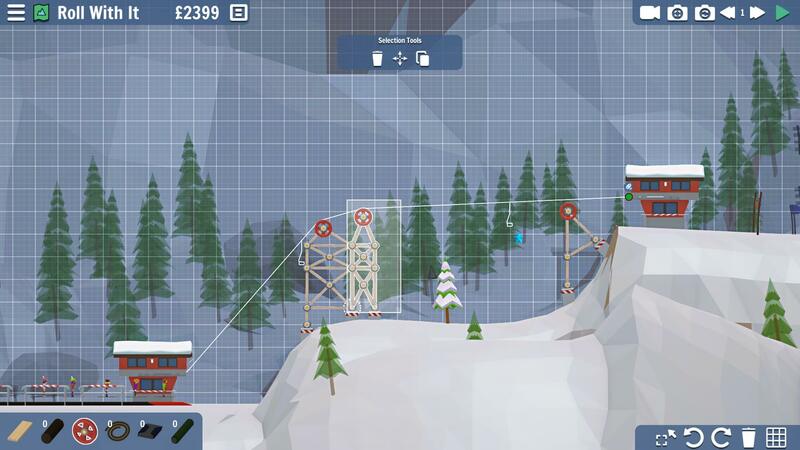 When Ski Lifts Go Wrong (nee, Carried Away), from Hugecalf Studios and Curve Digital (Bomber Crew, For the King and more), is a physics construction game all about building solutions to skiing and ski-lift related activities. You’re challenged to get all of your skiers from one end of the level to the other by any means possible. This can involve ridiculous jumps, lofty ski lifts or even gondola carriages. This type of physics simulator, best popularised by the Bridge Simulator series, is certainly nothing new. But When Ski Lifts Go Wrong approaches the situation fully aware of the ridiculous combinations players will go to for a little fun — and the number of corners people will cut to try to get the job done. Juggling jet skiers on blasting cannons or crossing your fingers as you hope gravity and forward momentum will fill in for the massive lump of bridge you’ve left out are both viable approaches to solving the levels. 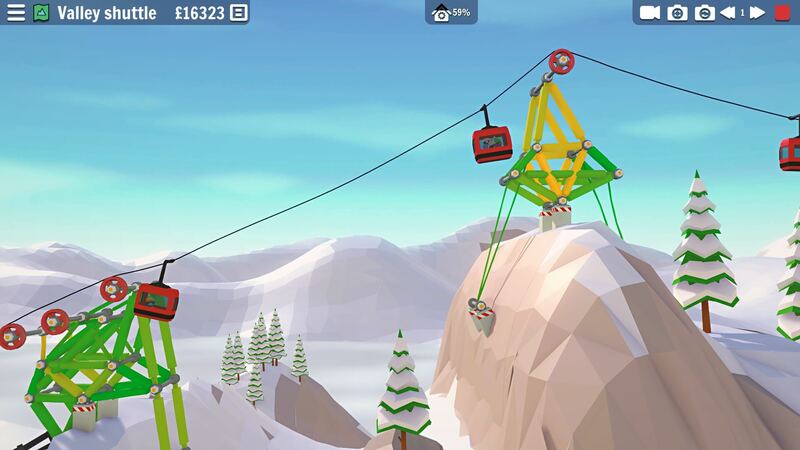 I played through some of When Ski Lifts Go Wrong’s earlier levels whilst at EGX earlier in the year and — after spending an extensive amount of time launching innocent skiers into hard, rocky surfaces — quite enjoyed its easy-to-use, modular building mechanics. When Ski Lifts Go Wrong, which is now in Steam Early Access, has more features planned over the coming year, ranging from new vehicles and mountain bikers to zip wires. And, while a small team, they are especially driven and have been performing regular updates since the early October launch. When Ski Lifts Go Wrong is available on PC and Mac through Steam Early Access.